In 1992 he wrote and Directed the award-winning ‘The Garrison Tapes,’ which Director Oliver Stone heralded as ‘The perfect companion piece to my movie ‘JFK.’ 25 years later, in 2017 he wrote and Directed Part 2 called: ‘The American Media and The 2nd assassination Of President John F. Kennedy,’ which leading researchers applaud as ‘The definitive film on JFK and the rise of Fake News’..which plagues America to this day. John said, ‘I am not a conspiracy theorist. Just a storyteller. 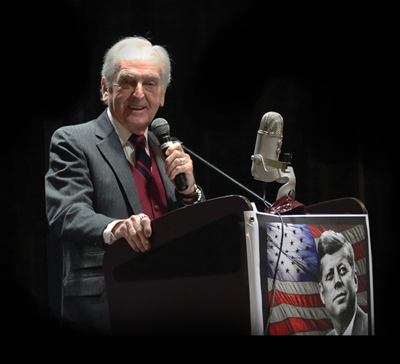 John Barbour changed the face of American television as the creator, producer, principal writer, and co-host of Real People, television’s first reality show. He is a five-time Emmy award winner, a storied actor and performer, a joke and script writer, and entertainment professional across genres. YOUR MOTHER’S NOT A VIRGIN! 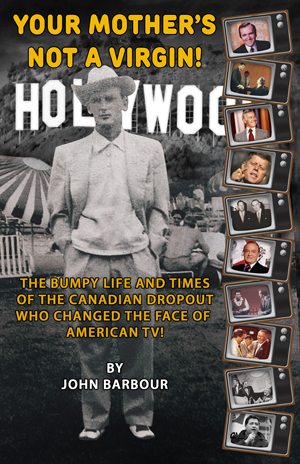 The bumpy life and times of the Canadian dropout who changed the face of American TV! In his highly entertaining deeply informative autobiography you will indeed discover..what a storyteller. And what amazing stories! Available at Trine Day, Book Depository, and Amazon.